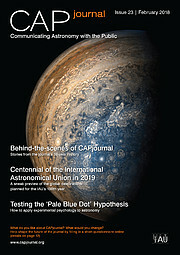 The 23rd issue of the Communicating Astronomy with the Public journal is out now! In this issue you will find papers on the methodology of applying experimental psychology to astronomy studies, using food to conduct astronomy outreach and language issues faced when conducting an international campaign. 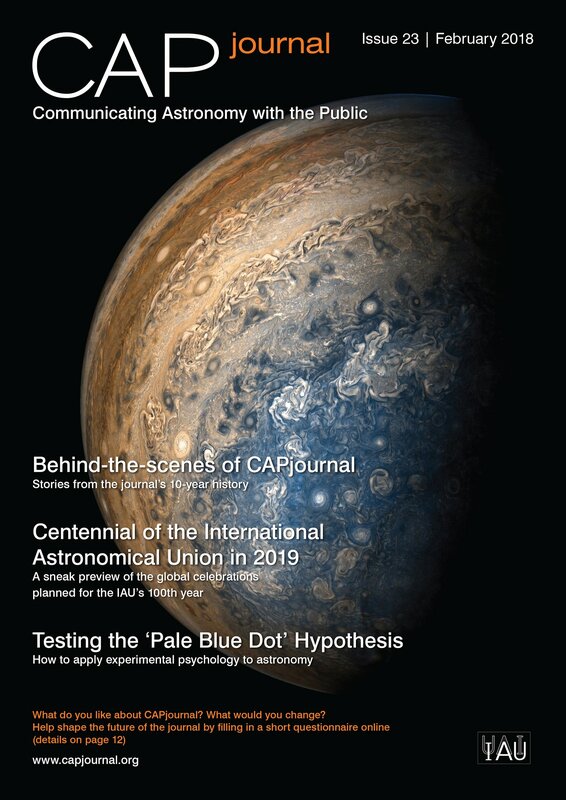 The latest issue will also look in the plans for the International Astronomical Union’s 100th anniversary in 2019. All of this, and more, is featured in this free, peer-reviewed journal for astronomy communicators — available now for download.